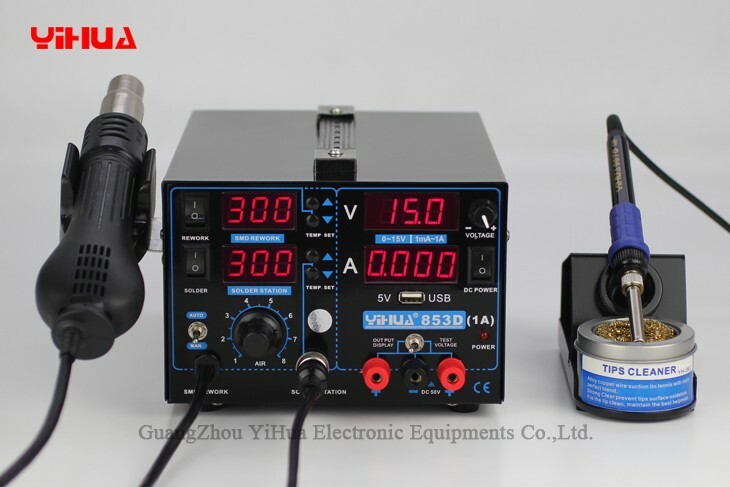 1.Based on the Company’s revolutionary, innovative design and meeting existing demands of the communication market, this all-in-one machine uses the latest chip technology and integrates a DC power supply, hot air gun, and soldering station. 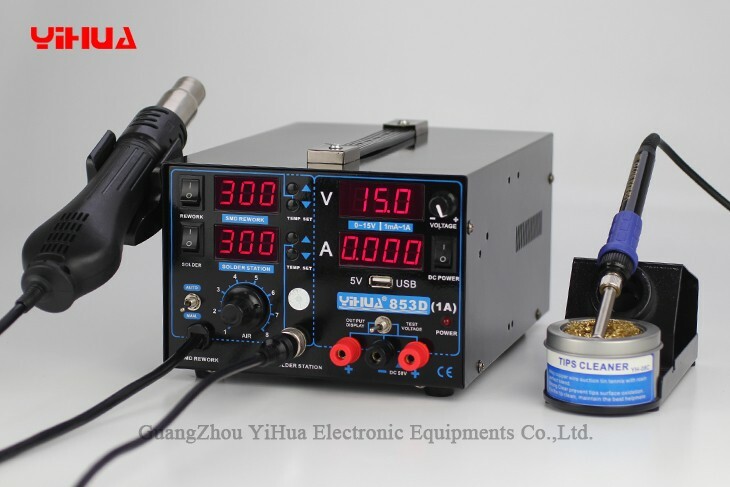 2.Temperature controls utilize core technology, adopting Samsung microprocessor-PID programming for high-speed 100ms real-time tracking of air gun outlet temperatures and soldering iron tip temperatures, with real-time calibration! Outlet temperatures are extremely stable. 3. With PID high-speed 100ms rapid temperature calibration, conversions are energy-efficient, providing constant temperature power consumption at levels much lower than comparable machines, equating to greater energy savings! 4. The air gun handle wire employs a high-temperature silicone wire (undamaged when 300o soldering tip contacts silicone wire for 30 seconds), stainless steel tubing, and a cutting-edge ceramic framed heating core for extremely stable and reliable performance! 6. 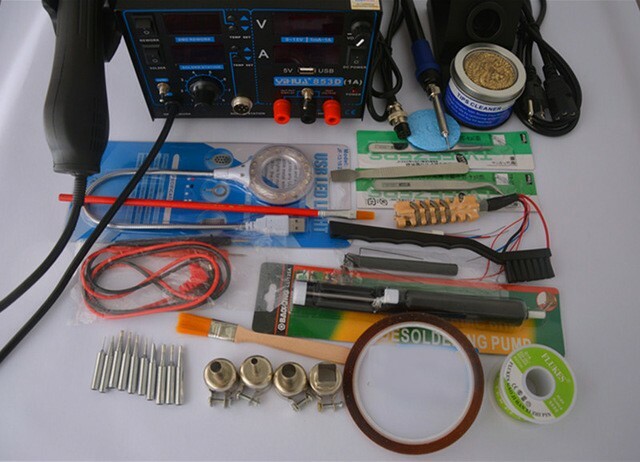 The soldering iron features a sleep function that can be set 10 minutes. 7.This new type add to 5V output USB interface ,it more convenience repair mobile phone,also can use power supply for mobile. 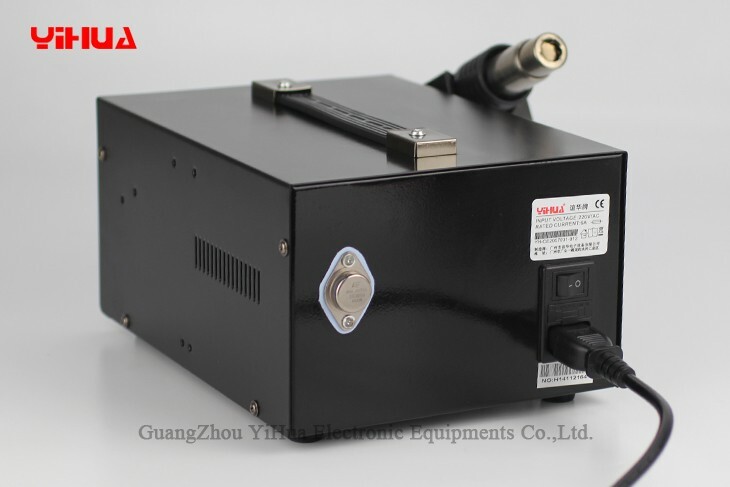 8.All parts is LED digital display ,and the current is 4 digital precise display current value,the current value can precise display mA value.it is very directly perceived through the senses. 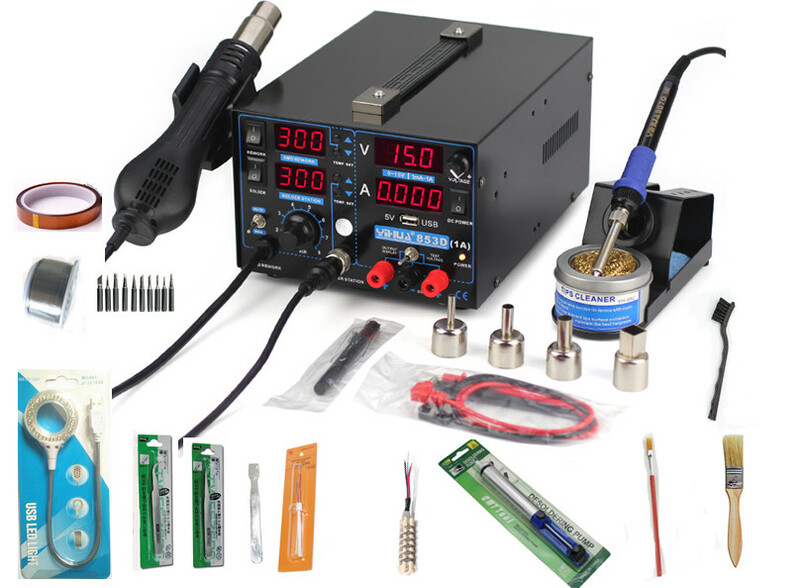 9.The soldering iron has an iron tip cleaner and internal rosin. 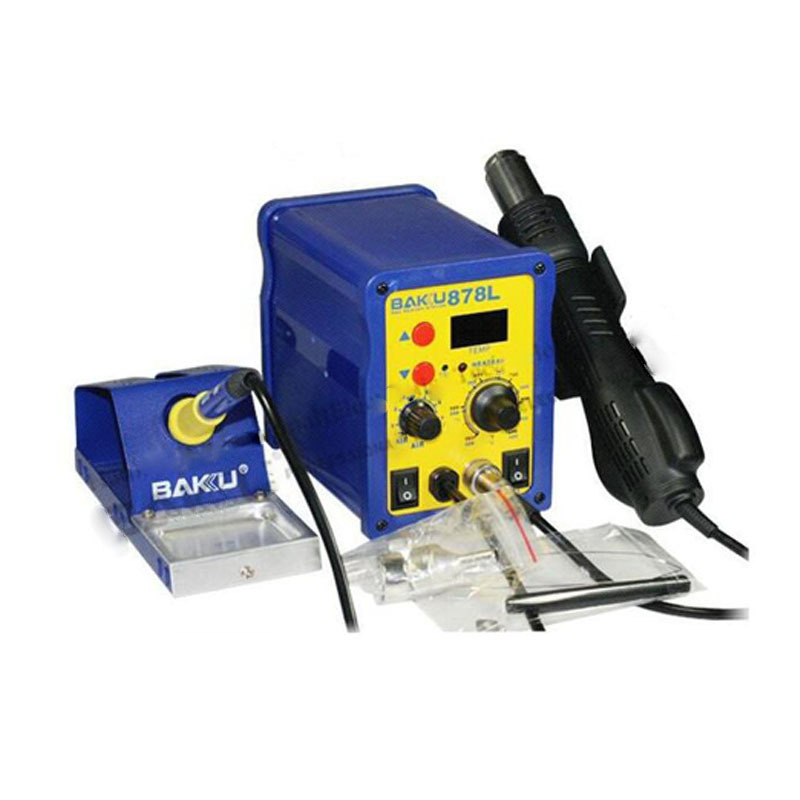 The rosin aids in the soldering of circuit boards by removing oxide films on the iron tip, reproduces oxidation, reduces iron tip surface tension, and rapidly removes oxides. 10. Pioneering with handle safety protection, an industry-first, a docked handle in the handle holder is required each time prior to machine operation. If not (placed) in the handle holder, the operator will not be able to detect compliance with safety instructions and the machine will not work. The purpose of such a function is to prevent handle misplacement or accidental placement in unsafe or flammable (work) locations that could lead to undesirable consequences.